In his famous work The Wealth of Nations, Adam Smith articulated a paradox that he could not resolve: water is essential to life; diamonds a mere decoration. Yet for all that, we are willing to lavish enormous sums on pretty rocks while taking clean water for granted. What could explain this disconnect? Smith’s confusion stemmed from his understanding of the source of economic value. The eighteenth century, while an age of enlightenment and revolution, was still very much mired in the religious worldview of the Medieval era, and many great thinkers believed that God imbued the world with value. It must have been quite difficult to imagine any sort of value, let alone that of economic goods, originating from some source other than the Creator of all things. Indeed, Smith, like many of his contemporaries, ascribed to an intrinsic understanding of value, one which saw prices as a manifestation of some “objective” quality of the thing being sold. That quality was the amount of labor that went into the production of the commodity in question. “The real price of everything, what everything really costs to the man who wants to acquire it, is the toil and trouble of acquiring it,” asserted Smith. His view has a certain intuitive appeal to it. Now known as the “labor theory of value,” this perspective holds that the prices of goods on the market are ultimately determined by the effort expended in their production. Labor was the first price, the original purchase-money that was paid for all things. It was not by gold or by silver, but by labor, that all the wealth of the world was originally purchased; and its value, to those who possess it, and who want to exchange it for some new productions, is precisely equal to the quantity of labor which it can enable them to purchase or command. In this way, labor can be understood as the genesis of all value, the first building block upon which all economic goods rest. It is easy to see why this account took hold in the eighteenth and nineteenth centuries. It seemed to explain the inflated prices of labor-intensive goods such as cotton and saffron, which demanded hours of sweat from peasants (and slaves) for a relatively small amount of raw material. It also entails that an informed expert could, with the proper information, calculate the “true price” of a good. Yet that’s not all: the labor theory of value instills a sense of justice into market transactions. According to the labor theory of value, those goods that people must work hard to produce are highly valued. On the other hand, those goods that are produced with ease do not fetch an impressive price. This characterization of market value has an obvious appeal, because it seems to reward human effort. Many great thinkers followed Smith in ascribing to this view. David Ricardo, the famous nineteenth-century defender of free trade, further refined Smith’s position, which was taken up by another famous economist, Karl Marx. Marx was careful to differentiate between what may be simply called “effort” and “labor.” For example, he believed that there is a difference between skilled and unskilled labor, so that one hour of skilled labor may be equal to two hours of unskilled labor. Yet despite this differentiation, Marx was obsessed with aggregates, and his formulation of social necessity is just one example. To a Marxist proper, the amount of time actually expended in the production of a good does not matter as much as the amount of time that it should take to produce something. As Marx put it, “that which determines the magnitude of the value of any article is the amount of labor socially necessary, or the labor time socially necessary for its production.” Social necessity is derived from the average level of productivity in a given society, regardless of the time spent on any item in particular. Marx wrote Das Kapital nearly 100 years after Smith’s The Wealth of Nations made its debut in 1776. The continuity of the labor theory of value between these two otherwise diametrically opposed works is remarkable, and speaks to its hegemony in classical economics. It also gives evidence of the intractability of the diamond-water paradox: in 1860, there was still no explanation for the fact that diamonds fetch a higher price than water. Yet a few years before Marx published his magnum opus, a new theory arrived on the scene, proposed by three thinkers almost simultaneously. Three economists developed an alternative explanation of economic phenomena in the 1860s and 1870s. While working independently, William Stanley Jevons (British), Carl Menger (Austrian), and Marie-Esprit-Léon Walras (Swiss) all proposed that economic value comes not from any quality of the good in question, but from the human mind. If the locks between two still bodies of water at different levels are opened, the surface will become ruffled with waves that will gradually subside until the water is still once more. The waves are only symptoms of the operation of the forces we call gravity and friction. The prices of goods, which are symptoms of an economic equilibrium in the distribution of possessions between the economies of individuals, resemble these waves. The force that drives them to the surface is the ultimate and general cause of all economic activity, the endeavor of men to satisfy their needs as completely as possible, to better their economic positions. But since prices are the only phenomena of the process that are directly perceptible, since their magnitudes can be measured exactly, and since daily living brings them unceasingly before our eyes, it was easy to commit the error of regarding the magnitude of price as the essential feature of an exchange, and as a result of this mistake, to commit the further error of regarding the quantities of goods in an exchange as equivalents. The result was incalculable damage to our science since writers in the field of price theory lost themselves in attempts to solve the problem of discovering the causes of an alleged equality between two quantities of goods. Some found the cause in equal quantities of labor expended on the goods. Others found it in equal costs of production. And a dispute even arose as to whether the goods are given for each other because they are equivalents, or whether they are equivalents because they are exchanged. But such an equality of the values of two quantities of goods (an equality in the objective sense) nowhere has any real existence. The error on which these theories were based becomes immediately apparent as soon as we free ourselves from the one-sidedness that previously prevailed in the observation of price phenomena. This theory of value thus focuses not on visible economic phenomena, but on the forces that bring them into being: “the endeavors of men to satisfy their needs as completely as possible.” Indeed, all three of the authors of what is now known as the Marginal Revolution emphasize the role that an individual’s mental states play in the creation of value. What explains economic value, in this new system? On Menger’s view, “value is the importance that individual goods or quantities of goods attain for us because we are conscious of being dependent on command of them for the satisfaction of our needs” (115). This implies that goods that are always and everywhere readily available do not attain an economic value—we are not dependent on command for them for the satisfaction of our needs if we already have them at hand. Only scarce goods can come into our consciousness in this way. It also implies that “true prices” do not exist, because prices are the result of subjective valuations. This focus on mental phenomena helps explain why certain goods that might be seen as important resources today had no monetary value hundreds of years ago. It is not any immutable and unchanging feature of an item that gives it value. Rather, value comes from human perception. Yet how does the subjective theory of value resolve the diamond-water paradox? Put another way, why do human subjects not recognize the greater importance of water in their purchases? The answer lies in the crucial focus on individual goods and services. Classical economists saw diamonds and water as aggregates, or categories. However, Jevons, Menger, and Walras perceived that people interact only with individual goods. In other words, no one chooses between “all of the diamonds” and “all of the water.” Rather, people select discrete units of water and discrete units of diamonds. Hence the “Marginal” Revolution. When people ascribe value to a good, they value each unit of each good according to the least urgent need that can be satisfied by that good. Or put another way, goods attain their value through their marginal utility. As one classic example goes, a farmer who has five sacks of grain may devote the first two to foodstuffs, then, one to feeding her animals, the fourth to distilling hard liquor, and the final sack to feeding birds that perch on her barn. If the farmer were to lose one sack of grain, she wouldn’t reduce each of these activities by one-fifth. Instead, she would stop the least valuable activity—that of feeding birds—and preserve the most valuable activities intact. Thus, the value of one sack of grain to the farmer is precisely the satisfaction she stands to lose if she is unable to feed birds. This is the marginal utility of each sack. In normal circumstances, people intent on buying diamonds have no further need for any concrete quantity of drinking water. They don’t stand to lose any amount of satisfaction if they pass up the chance to use more water. Yet the same isn’t true of diamonds, which are typically scarce enough so that, in Menger’s words, “even the least significant satisfactions assured by the total quantity available still have a relatively high importance to economizing men.” This explains the higher price of a unit of diamonds compared to a unit of water. It’s also worth noting that the marginal approach also holds true in unusual circumstances. If someone on a desert island must choose between a chest full of diamonds and a gallon of water, chances are they’ll prefer the water. Jevons, Menger, and Walras succeeded in explaining diverse economic phenomena, and resolved a paradox that had befuddled Adam Smith, Karl Marx, and all who came between and before them. Their insistence on the subjective nature of economic value, and the impossibility of calculating the “true cost” of any good, continues to challenge many notions widely held today. Adam Smith, An Inquiry into the Nature and Causes of the Wealth of Nations (MetaLibri, 2007), https://bit.ly/2fvwmCh (PDF). Smith, Wealth of Nations, 28. Karl Marx, Capital, A Critique of Political Economy (Marxists.org, 2015), https://bit.ly/1qHtn3M (PDF). 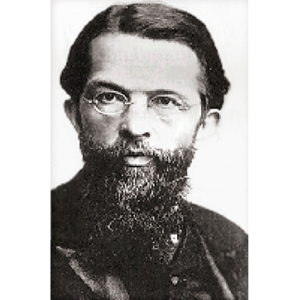 Carl Menger, Principles of Economics (Mises Institute, 2007), https://bit.ly/2urdKMA (PDF). Eugen von Böhm-Bawerk, The Positive Theory of Capital (G.E. Stechert & Co., 1930). Menger, Principles of Economics, 40. Marginalist theory doesn’t explain how utility, which is qualitative, becomes quantitative in the form of prices. Nobody goes to the supermarket with a clearly defined list of preferences with multiple relative “weights” between products, to them use it to bargain with the seller. Furthermore, this is a misrepresentation of Marx. For Marx the paradox is at the very least implicitly dealt with by way of socially average labour time. The reason a diamond would be valued above and beyond water lies in the effort required to extract it. This would include the cost of labour, the dead capital in the form of machinery used in the extraction process and the ideological value attached to the item by way of the capitalist class’ ‘tastes’. Water, at least during his time, existed in abundance and was easily acquired. Diamonds, however, are extremely rare and require excessive amounts of effort to remove from the earth (not to mention excessive amounts of water). The ideological justification, for Marx, would be explained by Bourgeois control over where the emphasis on ‘subjective’ value was to be placed. Thanks for leaving this comment – I definitely was mistaken in saying that Marx had no answer for the diamond-water paradox, as it seems that the concept of socially average labor time can be employed to explain why a ‘useless’ diamond might be more expensive than ‘useful’ water. Perhaps I should have simply remarked on the fact that Smith and Marx both saw labor as the ultimate source of value, despite their many & significant differences, before moving on to the marginal revolution. I may not fully understand your last sentence here – do you mean to say that Marx would explain why diamonds were valuable by blaming bourgeios taste, which distorts the ‘objective price’ given by labor? Cheers! One more thought, which is, correct me if I’m wrong, but wouldn’t Marx’s construction of socially average labour time run into trouble with highly valued goods like paintings that require relatively little labor? If so, Marx could be said to have failed to have found a resolution to the diamond-water paradox that could consistently explain other economic phenomena. First, if I am understanding the Labor Theory of Value at all, Marx was saying – as you mentioned – that not all labor is of universally equal value (eg, skilled vs unskilled, productive vs. non-productive, etc.). Hence, the socially necessary labor time required to create a “masterpiece” vs. a child’s drawing is in part what helps to determine the magnitude of the artwork’s value. I feel confidant that you are probably aware that Marx distinguishes a commodity’s (general) Value – the labor it embodies, from it’s Exchange Value – or Price. I am no expert here by any means, but I think that what you’re getting at (and perhaps purposefully so…) is related to the “Transformation Problem” in the Marxian Labor Theory of Value. – that is to say, the problem in transforming (general) Values into Prices. For example – according to the LTV, the socially necessary labor time needed to create a masterpiece may consistently equal a general “amount” of value embodied in masterpieces. However, there will be differences between what that “general” value is (ie, the socially necessary labor time embodied in the commodity) and what the price is that people are willing to pay for it (ie, it’s Exchange Value). To rephrase, the LTV does not deny the role of supply and demand in influencing price, since the price of a commodity is something other than its value. So, I guess. this is just a long way to say that I agree that Marx did account for something like the Diamond-Water Paradox, while he also certainly failed to unequivocally resolve the relationship between a commodity’s (general) Value and it’s Price – but it wasn’t for a lack of trying! Hence, the Transformation Problem that Marxist economists have tried to solve for over a century. Hi Eduardo, thanks for bringing this up. The relationship between qualitative preference and quantitative price is a really interesting one, and there has been lots of disagreement on it, even between economists who fall within the ‘marginalist’ paradigm. My understanding (and I am not an expert by any means, so please let me know if this explanation is problematic) is that quantity relations are implied by the marginalist assertion that nothing is valued in totality (all of the diamonds) but things are valued on the margin (a specific quantity of diamonds). In a society with only direct exchange, people trade for the goods they desire based on their preferences – and they must necessarily trade specific quantities of goods, because those preferences are not preferences for bread as such, but a specific quantity of bread, as opposed to specific quantities of fish, corn, etc. So someone might trade 3 fish for five loaves of bread. and makes decision-making at the market easier for buyers & sellers. It also gives qualitative preferences a quantitative form that allows for certain types of calculations. Marginalists would argue that people do have preferences for all sorts of things, even if those preferences aren’t clearly articulated. That’s part of what makes playing ‘would you rather’ a decent way to pass the time – we have preferences even for impossible circumstances that we’ve never considered before. Grocery stores are just one place where we make decisions based on our preferences. In the US, bargaining is not a popular practice at stores, and managers must rely on statistical analyses of consumer spending, based on preference, to price their goods. But go outside the US and you’ll find many markets where bargaining is still a normal part of shopping. (The point here is that bargaining is not a necessary condition for preference-based decision making). Thanks for the comment, and let me know what you think! It may be a while before I respond as I’m hosting family for a few weeks, but I will get back to you. Cheers! I’m wondering the connection between your critique (nontransitive utility functions of consumers) and the article’s focus on marginal utility theory? I certainly know about the experimental economics which have found holes in set utility function within individual consumers, but, as Adam explains, then tends to hold statistically (or, as I understand it, is at least “believed” to hold). This is a serious question in case the answer is obvious and I’m missing something. The problem I have is that, even with the assumption of an ordered and stable list of preferences, these preferences are contingent upon an economic agents material means (the obvious point -> I might find more utility in a nice car than Bill Gates, but don’t have the means to get it) and, more important, can only be enacted within the existing material reality. I, am many more people, may want to take a well functioning subway to work and our utility function might show that we would be willing to pay the fare price require to maintain such a system. And yet there is no subway. I’m no Marx scholar and haven’t even tried to read Capital, so take this as someone’s uninformed opinion. It’s clear that Marx knew of prices that fluctuated in markets depending on supply and demand. It seems to me that the labour theory of value is important as a metaphysical grounding for value (to Marx) rather than something that can be applied to each individual commodity. Your example, Adam (the painting), shows this but an even easier example is what if someone accidentally finds a pearl, or a diamond, that had no labour enacted on it? It would still have a “price” that would far exceed the work put into picking it up. That said, I think my question is off point and I’m looking forward to the connection between Eduardo’s point and this article. Nice introduction to marginal theory Adam – thanks. The elves are the Bourgeoisie!! Our fantasy desire to play out being an Elf is due to our false consciousness obfuscating the implicit Bourgeois ideology that we fail to recognize within ourselves as being that which impels us to desire and valorize the class divisions, power concentrations, private property, and high castes of Middle Earth! …or something. …poor attempt at making a joke! I love PEL but this is trash. Author must have spent a week (at most) researching classical political economy on Wikipedia. Utter misreprentation of the issue, and the classical position. What a disservice, sham. I wonder how you might respond to criticisms of the Subjective Theory of Value/Marginal Utility from someone like Paul Mattick who argued that the subjective theory of value leads to circular reasoning. He argues that prices are supposed to measure the “marginal utility” of the commodity. However, prices are required by the consumer in order to make the evaluations on how best to maximize their satisfaction. I don’t know enough about these types of arguments to have any serious insight, but I am certainly curious what your perspective might be. Thanks!